Superfood bites of bliss! 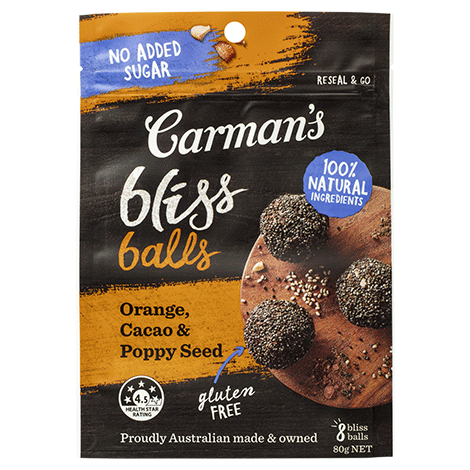 Jam-packed with organic cacao, orange oil and poppy seeds, they’re a natural energy pick-me-up that’s honest and real. They’re deliciously good for you and so easy to graze on-the-go. Dates, Cashews, Organic Cacao 6%, Poppy Seeds 3%, Chia Seeds, Orange Oil. To prove you’re not a robot, can you tell us what’s 7 + 7 ?